he modern and stylish standard rooms are furnished in a minimalist-style with wenge and ivory colours for a lively and friendly atmosphere. They are the perfect choice for couples that are longing for a relaxing stay and high-quality services for moments full of fun. 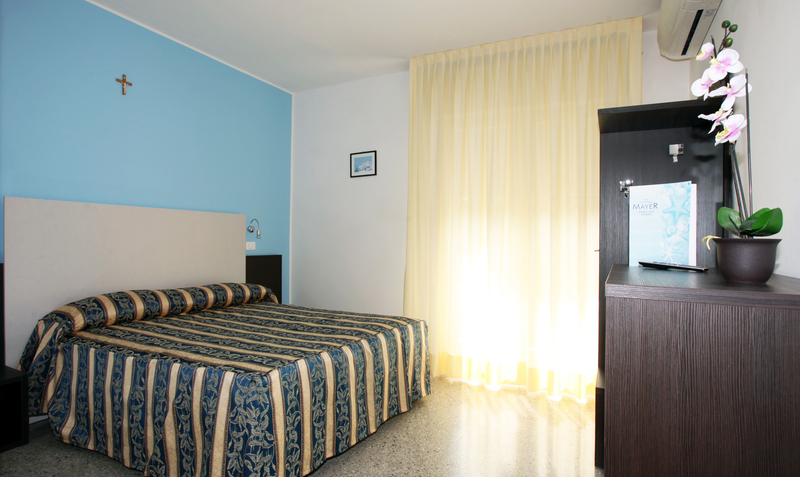 For those who want to enjoy a comfortable stay with the whole family in one single room, there are also standard triple rooms that are bigger rooms for up to 3 guests. These rooms include a bathroom equipped with a shower or a bathtub. For bigger families or groups of friends we can offer the so called “quadruple standard room”. 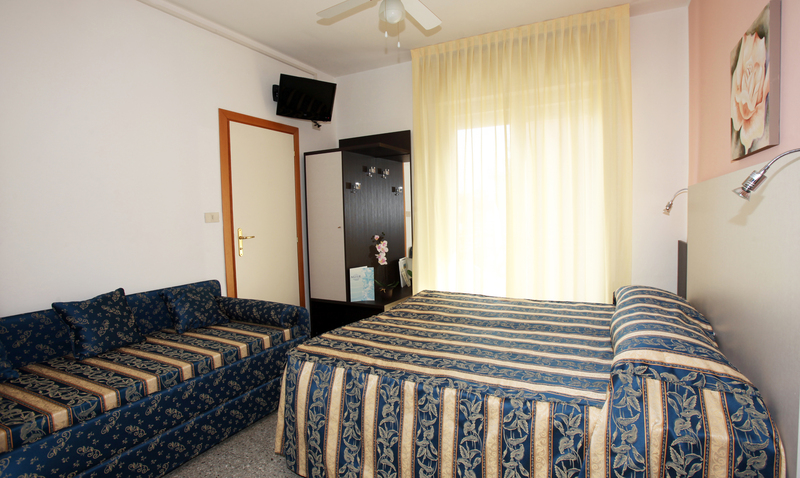 It is made up of a double bed and a sofa-bed and is suitable for up to 4 guests. In all standard rooms you will find a terrace, the latest model of air conditioning, LCD television with Sky TV and satellite channels that allow you to keep up to date with your favourite TV-programs. The rooms are also equipped with a mini-fridge that allows you to have a snack at any moment of the day. For the safety of your valuables the rooms are also equipped with a safe. In the intimate and comfortable bathroom you will find a spacious shower, hair dryer and courtesy toiletries.